AMSTERDAM IS KNOWN worldwide for its permissive drug laws, which can be irritating to the Dutch, who know that their country consists of infinitely more than a pot culture. 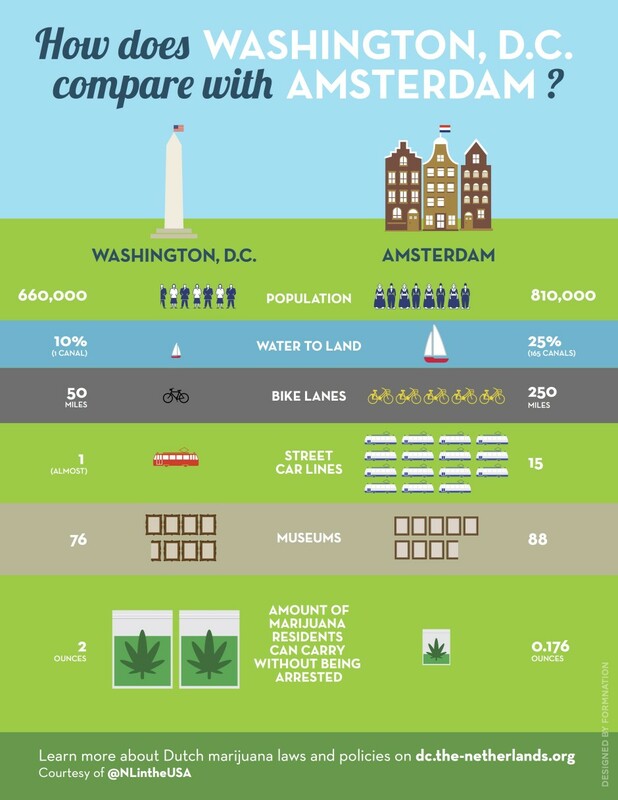 So when Washington, DC legalized marijuana and put out a pamphlet saying that DC was not going to “become like Amsterdam,” the Dutch Embassy decided to have a little bit of fun at Washington’s expense. The “street car” bit is a little jab at the city’s stalled H Street Corridor street car which has been an absolute debacle implementing. Kudos to the Dutch Embassy for pushing back against dumb stereotypes about one of the world’s great cities.